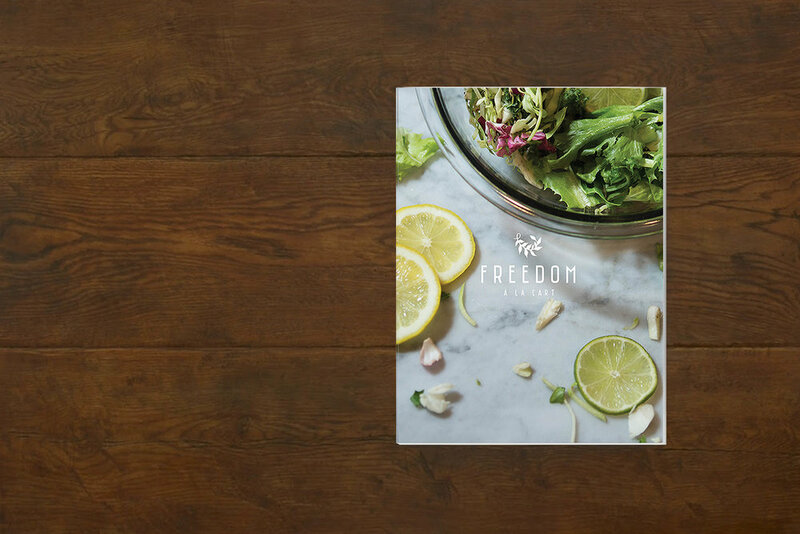 Freedom a la Cart is a non-profit organization that offers catered box lunches to the Columbus area. However, their mission is so much bigger than that. FALC employs survivors of human trafficking and supports them through their transition into a new life with freedom, stable support, and self-empowerment. Currently the business is supported by grants gained by working under the YMCA within the Columbus Community Shelter Board. FALC would like to open their own cafe to expand their business space and become their main source of income. This will allow Freedom to become a self reliant business that can expand into multiple locations and eventually become a franchise that can spread their mission across the country. After attending multiple meetings with the Executive Director of FALC, a partner and I were prompted to concept and complete multiple design tasks in order reach investors. 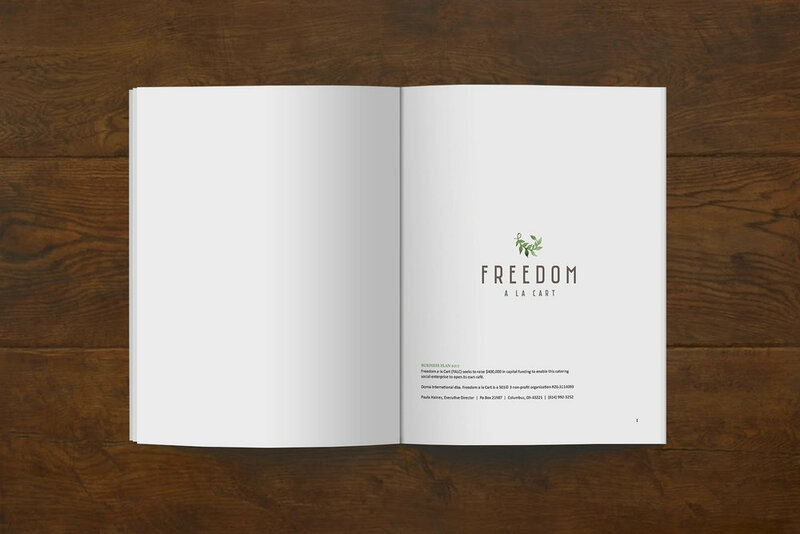 I primarily worked on the investor's pitch book, with Freedom a la Cart's 2017 Business Plan. Conducting an interview with Alloy's Investor and Director of Operations, Carly Sparrow, was essential to solving the following pain points: "Freedom" vs. FALC abbreviation (Identity), selling facts vs. selling the dream, portraying both activity and feeling, pops of color for navigation, more about operation, less about operators, white space for written notes, and organization of lists and figures.